In a custody hearing this morning, Wesley and Sini Mathews stood in shackles before a judge and agreed to relinquish their parental rights - an irrevocable decision, Dallas News reported. 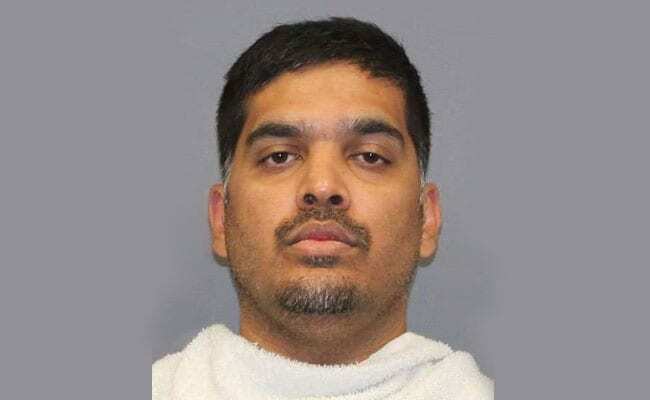 Houston: The foster parents of Sherin Mathews, the three-year-old Indian girl who was found dead in a culvert in the US, relinquished custody and parental rights to their biological child. Sherin Mathews went missing on October 7 and her body was found on October 22 in a culvert in suburban Dallas by a cadaver dog after an intense search. Her body was identified days later. Her foster father Wesley Mathews has been charged with capital murder in Sherin's death. Sini was arrested on a charge of child abandonment or endangerment based on her husband's admission to investigators that they went out to dinner and left Sherin alone the night before she died. Sini "made the extremely difficult decision to give up her parental rights because, given the circumstances and the pending criminal cases, this is in the best interests of the child. She wants what's best for her remaining daughter," said attorney Mitch Nolte who represents the mother. Last month, a Dallas judge blocked the couple, hailing from Kerala, from having contact with their 4-year-old surviving child after prosecutors argued that they failed to protect Sherin. The judge's ruling meant that Child Protective Services did not have to work with the Richardson couple to reunite them with the girl. When the agency removes children from their homes, it typically offers the parents services such as parenting classes and counselling to help them regain custody of their kids. The CPS has custody of Sherin's sister, who has been temporarily placed with relatives in the Houston area. Those relatives, who went through extensive background checks and home studies, plan to adopt the girl, said Marissa Gonzales, a spokeswoman for the Texas Department of Family Protective Services. Authorities have said Sherin was killed by "homicidal violence" before her adoptive father hid her body in a Richardson culvert where it went undiscovered for weeks. Wesley, 37, was arrested in October on a felony injury to a child charge after the girl's body was found. He originally said he put her outside on October 7 because she would not drink her milk. He later changed that story to say that the child choked on her milk. During a hearing in late November, a doctor testified before a court that Sherin, who was adopted from India, had broken bones and had injuries in various stages of healing, indicating abuse.